What really is succotash? It’s a summer salad with a combination of butter beans, corn, summer and squash. 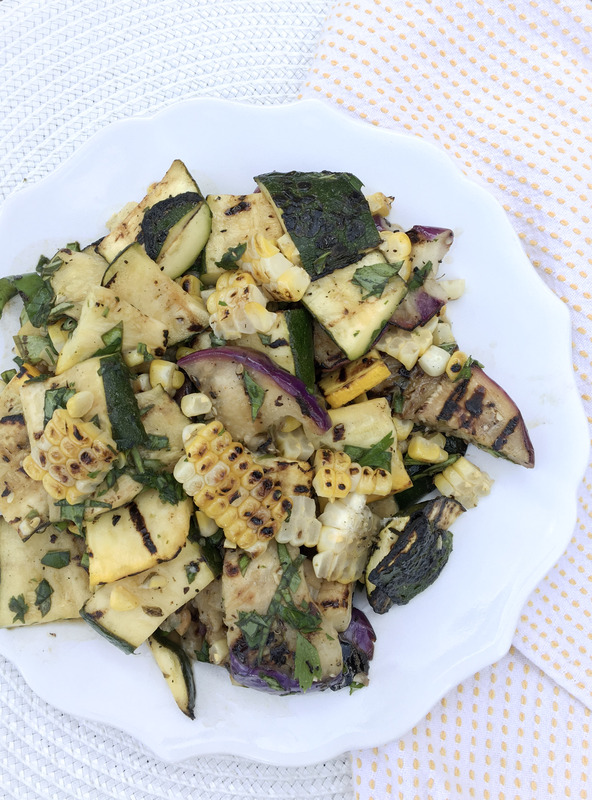 Well it became the inspiration for this grilled summer squash corn salad, sans the beans. Like all the recipes I’m sharing this week, this is another easy one to make ahead. Grill up all the squash and corn the day before, coat in the dressing and relax knowing you’ve got a great side dish all ready for your guests. And like this potato salad, it’s sunny warm weather approved, tasting better at room temperature or warmed on the grill. This fresh summer veggie salad deserves a little kick, it’s just begging for a sprinkle of cayenne or some sliced grilled jalapeño. The heat brings out the squash’s simple flavors. 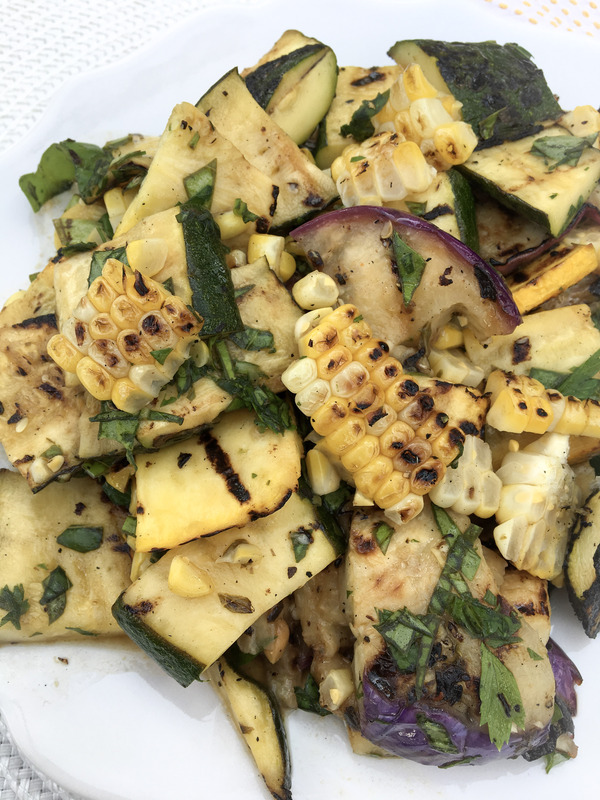 And I have told you I couldn’t get enough of three foods this summer, well you’re seeing a bit of corn in this recipe too. I mean when there’s so much of it in season and at markets, it’s almost a shame not to enjoy as much of this vegetable as you can for the short months of summer we have. Most just grill or boil it, but when it comes to corn you can really do so much with it. I spiced up this black bean salsa and now blended it with my go to summer grilled vegetable dish, to create a deliciously light and seasonally flavored salad. It can also be mixed with greens, like red leaf lettuce or spinach, and grilled chicken for a heartier salad. Oh, and as a side note, I had roasted corn for lunch, yes talk about getting as much as you can. 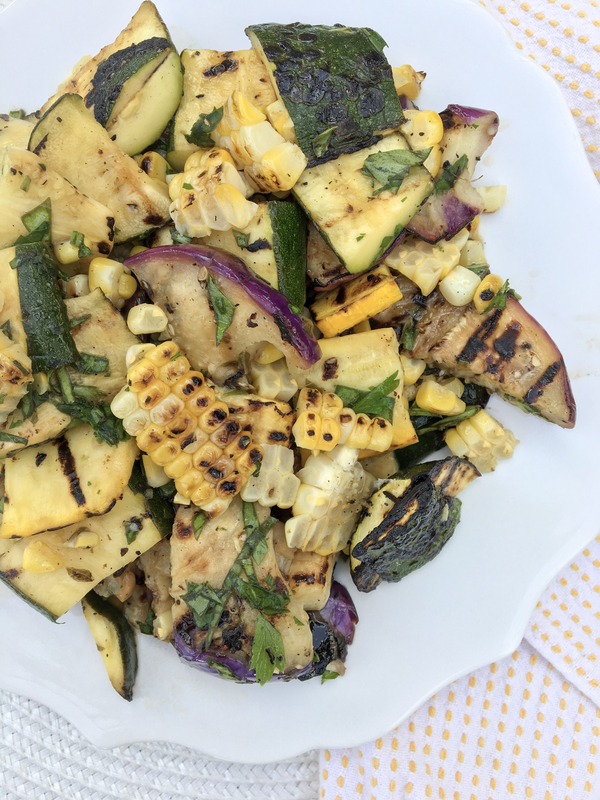 Grilled summer squash can become repetitive too, so it’s worth it to change things up, like using different fresh herbs or mixing with another seasonal vegetable. 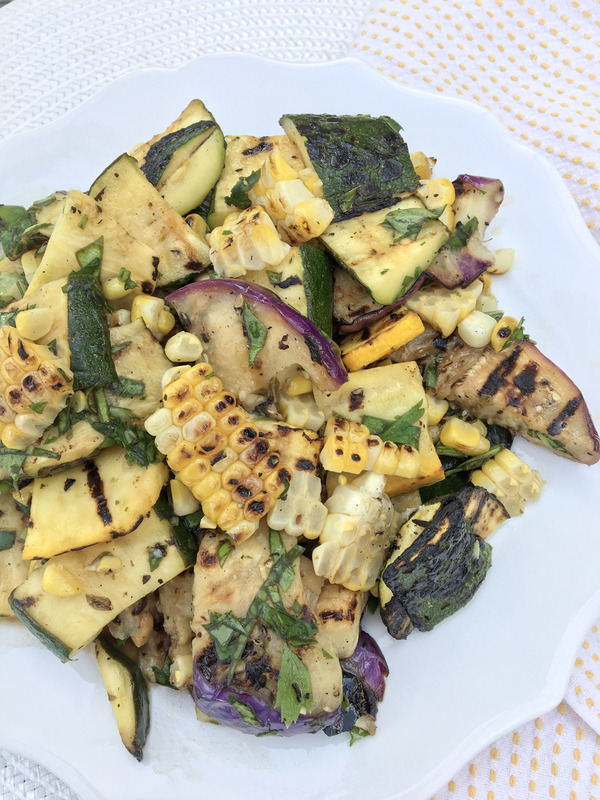 This delicious grilled squash and corn salad is practically a staple of mine when it comes summer cooking and entertaining! Heat your grill, or oven. Place the cut squash into a large bowl, add in the olive oil, lemon juice, herbs, salt, pepper and cayenne to taste, and toss to coat well. Grill your squash quarters and ears on the corn, until cooked through and slight grill marks appear. Keep bowl with leftover dressing on the side. Allow vegetables to cool to touch, then cut the squash into 1" pieces and slice the corn kernels off the ear. Place cut grilled vegetables back into the same bowl with the dressing and toss to coat. Adjust the seasonings if necessary and top with more fresh herbs. Serve warm, at room temperature or chilled. Can be kept in an airtight container, refrigerated up to 4 day.